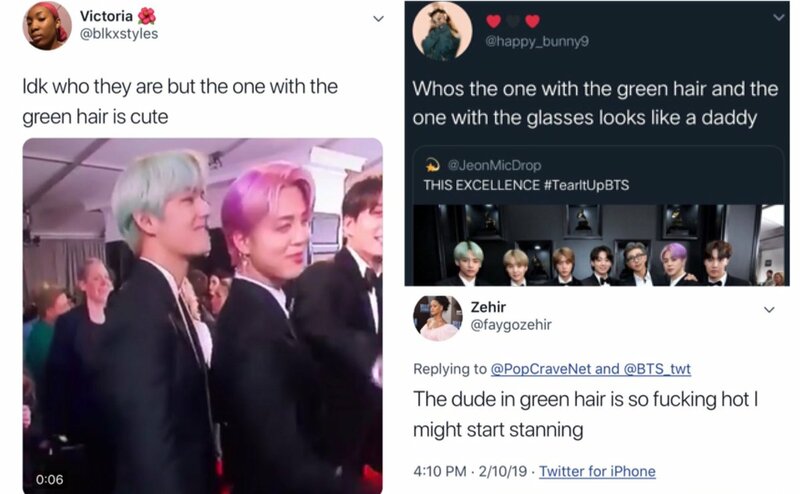 ℓunie's tweet - "“The guy with green hair” Taehyung already went viral, the locals are going crazy about him! 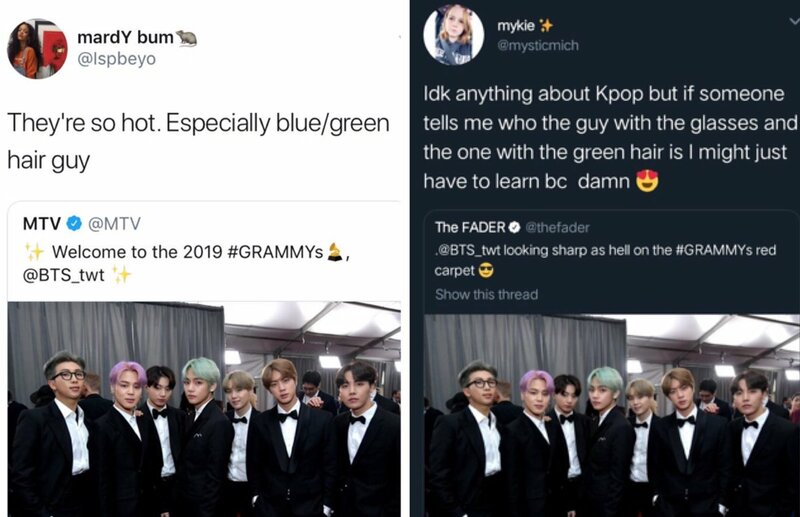 The power this man holds @BTS_twt #TearItUpBTS "
"El chico de pelo verde"
Taehyung ya se volvió viral, ¡los locales se están volviendo locxs por él! El poder que tiene este hombre. YES!!! TAE GET IT!!! !....also did anyone else notice that they asked for Namjoon as well??? I'm so happy he is finally getting noticed!!! 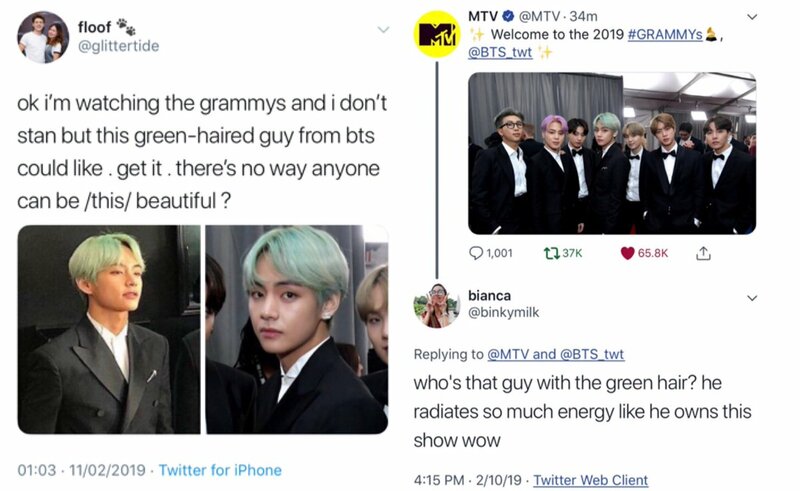 los locals ya están preguntando por "el chico del pelo verde", yo les dije que Kim Taehyung iba a enamorar a todo el mundo. only king. спрашивают кто тот "парень с зелёными волосами"
Because tae looks amazingly handsome today. The one with glasses ., that is RM aka Kim Namjoon the leader of the group BTS ..
Aaand the guy with the glasses a.k.a president Joon.. finally my other baby got notice too..
No one can resist #Taehyung 's beauty 😎💐 And #Namjoon is getting some attention too 😄👏 he looks so good with glasses! 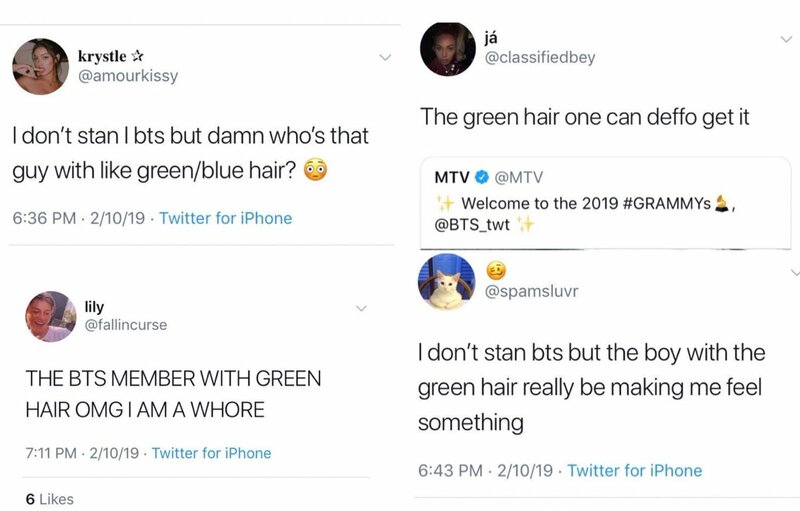 "El chico de cabello verde"
Taehyung está siendo viral, lo locales están locos por él! El poder que tiene este hombre"
Fua, qué impacto que causó Taehyung, gente! Ysi, yo les dije que irradiaba un aura de poder, vieron?